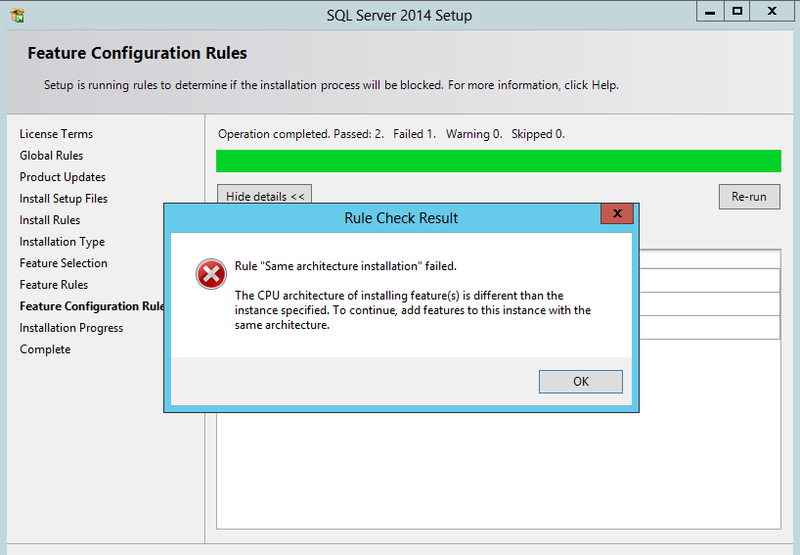 Rule Same Architecture Installation Failed. Applies to: SQL Server Data Tools Business Intelligence for Visual Studio 2013. Rule "Same architecture installation" failed. On a previous setup page named "Installation Type" you should have selected the "Perform a new installation" option instead on selecting the "Add features to an existing instance" option.